"These songs, they just kind of pop up in my head and I feel like I have to write them down," Mike Posner says. Then, in 2016, Posner once again saw success in his own solo career — a remix of his song "I Took A Pill In Ibiza" became an international hit and was nominated for a Grammy. Now, Posner is back with his third studio album called A Real Good Kid. The album was written while Posner was dealing with the grief of a break-up. It also came together while the artist was dealing with the death of his father, who died from brain cancer, and the death of his friend, Avicii, who died by suicide. "I had to go to the studio everyday and I was trying to just show up and record all the songs and do a good job and I was sad," Posner says. The song "Move On" helps encapsulate all these emotions. "Maybe one of the best lines I've written — I don't know, but not a stinker line — is on this song. I said: 'Beginnings always hide themselves in ends.' Beginnings always hide themselves in the end, and I knew that, at the time, in the future I would look back on this moment, this break-up, this pain and be grateful for it and know that it helped me get to whatever was coming." But even though he's learned to appreciate his father and friends more after their deaths, Posner says writing these songs wasn't necessarily something he felt he had to do to get over their passing. "These songs, they just kind of pop up in my head and I feel like I have to write them down," Posner says. "I'm sort of nervous if I don't don't write them down or don't record them that whoever is putting them in my head will stop whispering those melodies to me. Maybe that's superstitious and silly." Besides working through major life changes, Posner has taken time to reflect on his past work. In 2017, Posner and the hip-hop artist Blackbear, the other half of his electronic R&B duo, Mansionz, put out a self-titled debut album with lyrics that could easily be called misogynistic in terms of how women are described and portrayed. In hindsight, that's also how Posner sees it. "A lot of my solo stuff, too, is I think overtly misogynistic and regrettable," he says. "And a lot of my behavior [with women] when I look back, I could use the same adjectives to describe." The artist says the #MeToo movement may have been what spurred his reflection, but, he says, it shouldn't have taken a public outcry for him to reach that awakening. "I should have known that my whole life," he says. "I didn't. I wish I did. And it doesn't make it any better. You know, I'm not asking for sympathy or anything." On Saturday, Posner tweeted a video to announce that his music "from this point forward" will no longer include language that he now views as misogynistic. "You will not hear me refer to women as b******, h***, sluts — anything like that in my music," he says. In the video, he also encouraged other artists to follow suit. "I hope that we as artists — male and female — let's retire these words in our songs," he says. "They're derogatory, and they're not cool and they don't forward the culture." A Real Good Kid comes out Jan. 18 via Universal Island Records. Posner spoke with NPR's Sarah McCammon about the themes of the album and what he learned about himself while making it. Hear their conversation at the audio link above. NPR's Emma Bowman contributed to this digital story. 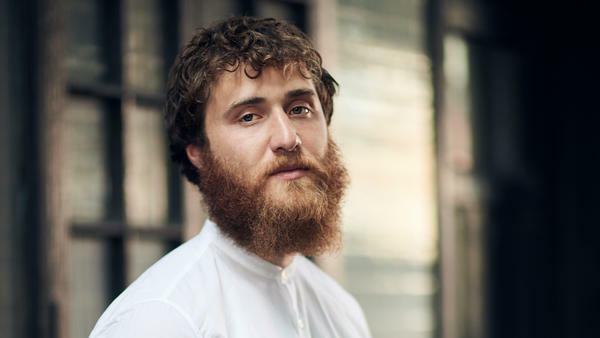 Finally today, to say Mike Posner's career has been unpredictable is an understatement. In 2010, his song "Cooler Than Me" hit the charts worldwide, selling more than 2 million copies. MIKE POSNER: (Singing) You got designer shades just to hide your face. And you wear them around like you're cooler than me. And you never say hey or remember my name. It's probably because you think you're cooler than me. MCCAMMON: Not long after that success, Mike Posner's career stalled. He took that time to cooperate with other artists including Justin Bieber, the producer of Avicii and this mega hit with Maroon 5. MAROON 5: (Singing) You're sugar. Yes, please. Won't you come and put it down on me? MCCAMMON: And then in 2016, Mike Posner made a solo career comeback in a big way. A remix of his song "I Took A Pill In Ibiza" was nominated for a Grammy and has been streamed more than a billion times. POSNER: (Singing) You don't want to be high like me, never really knowing why like me. You don't ever want to step off that roller coaster and be all alone. MCCAMMON: Mike Posner is about to release his third solo album, and this one was written in the aftermath of his father's death. When we spoke, I asked if he felt like he had to write in order to process his grief. MCCAMMON: They'll stop coming to you. POSNER: Yes. I have a little superstition about that. MCCAMMON: Well, let's listen to another song. This is the song "Move On." And, first, let's listen to some of it, then we'll talk about. POSNER: (Singing) Beginnings always hide themselves in ends. At some point, that will be OK. I got high when I met you. I got high to forget you. I feel pain. I don't want to, but I have to. Yeah, I have to if I want to move on, move on, move on, move on. MCCAMMON: What was going on when you wrote it? I like it, too. POSNER: It reminds me of Graceland. POSNER: (Imitating bass line). When I wrote it, I was at the end. I was in a really beautiful relationship, and it ended. This was just sort of a song about that, maybe one of the best lines I've written, I don't know. But not a stinker (ph) line is on this song. I said, beginnings always hide themselves in ends. And I knew that, at the time, that in the future, I would look back on this moment, this breakup, this pain and be grateful for it and know that it helped me get to whatever was coming. But I wasn't there yet. I was still just in the pain. So I was really just trying, I think, to help myself move on. POSNER: (Singing) So I got high when I met you. I got high to forget you. I feel pain. I don't want to, but I have to. Yeah, I have to if I want to move on. MCCAMMON: Now, the video for this song, "Move On," is intensely personal. And it features a home video of your dad and also your close friend and music producer Avicii who died by suicide last year. When he was alive, Avicii talked openly about his anxiety and his loneliness. And you've been open about your own challenges with mental health. How did you decide how much to share? POSNER: I would share even more. My own sort of borderline is when stuff involves other people. Like, if you ask me a story and the story involves someone else. But I try not to have, like, really any secrets about my life. It takes a lot of energy to have categories of private and public, you know. And it's a dangerous game to internally go, OK, I'm going to let people know about this stuff that I think is nice about me, and I'm not going to let people know about this stuff which I think is icky. That takes a lot of energy to keep that up in all your interactions. And I've found it's a lot more liberating - scary, but liberating - to just go, it's all public domain. There's no secrets here. POSNER: (Singing) Since you've been gone, ain't got nothing to do. I sleep in till noon. I wake up and feel bad. I think I miss something I never had. MCCAMMON: You've co-written some mega-hits for other artists. I mentioned just a few collaborations in the intro, but you've written so much more. Is it tough ever to watch a singer or a band have a huge hit with something that you, yourself, have written? POSNER: No, it's pretty cool (laughter). It's pretty cool, actually. Most of my songs that have been successful for other artists came at a time when my career, you mentioned in the intro, was sort of at a standstill. And there was a period where I was what we in the record industry we call shelved. And that means that I'm making music, I'm making albums. But because I'm so ice cold, they're not going to ever come out. The record label can't justify the marketing budget to even put this stuff out. And so they just sort of cut their losses on me. And I'm, like, stuck in a holding pattern. So there have been times where I've been in a situation like that and I'm still writing what I think are great songs, and another artist will come along and help me get that song off of my laptop and out in the world. So that's pretty cool. MCCAMMON: I want to ask you, in addition to your solo work and co-writing writing for other artists, you're part of a duo that goes by the name Mansionz. And you put out an album in 2017. I was listening to some of the songs, and I have to say that some of the lyrics and images could pretty easily be described as misogynistic, some of the ways you talk about women and some of the ways they're portrayed. And I wonder now that we've entered the #MeToo era, do you think differently about anything you've put out in the past? MCCAMMON: With women you knew? POSNER: Yeah. Yeah. I mean, I definitely - definitely womanized. And it's a sick thing I look back on now. And I'm grateful that the things that have transpired in the public arena the last year or so have really entered my own psychology and allowed me to see the grossness of some of my lyrics and my behavior in the past. MCCAMMON: I got to ask, though, why should it take a movement like #MeToo for so many men to sort of see what women have seen for so long? POSNER: It shouldn't. It shouldn't. But that's what it did take for me personally. But the answer is, no, it shouldn't take that. I should have known that my whole life - I didn't. I wish I did. And it doesn't make it any better. I'm not, you know, I'm not asking for sympathy or anything. MCCAMMON: That was Mike Posner talking about his latest album, "A Real Good Kid." Transcript provided by NPR, Copyright NPR.